i have planned a bohol trip for myself and my best friend which is budget-friendly and kind of laid-back. it was only a three-day weekend trip and what happened on our first day was unproductive due to the rain. we actually just had a good dinner and checked the bars lining alona beach in panglao. 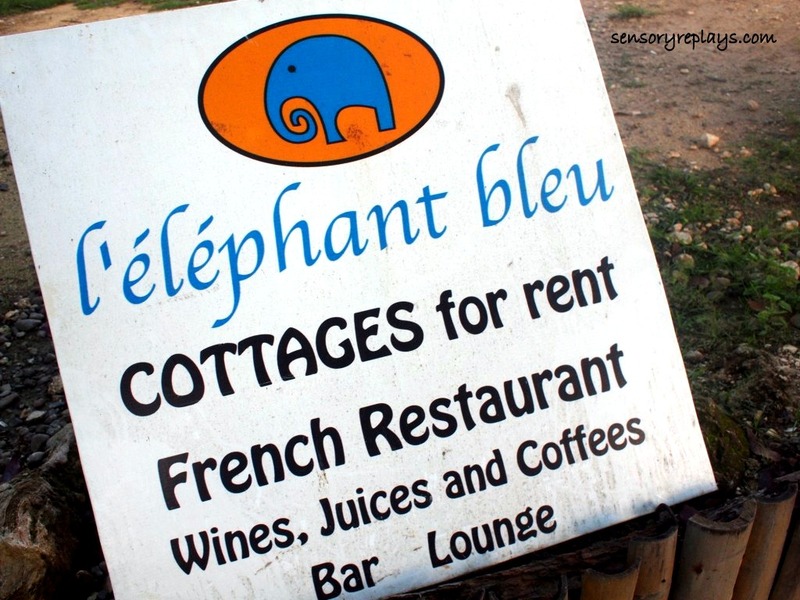 the room i booked from agoda website was at l’elephant bleu. 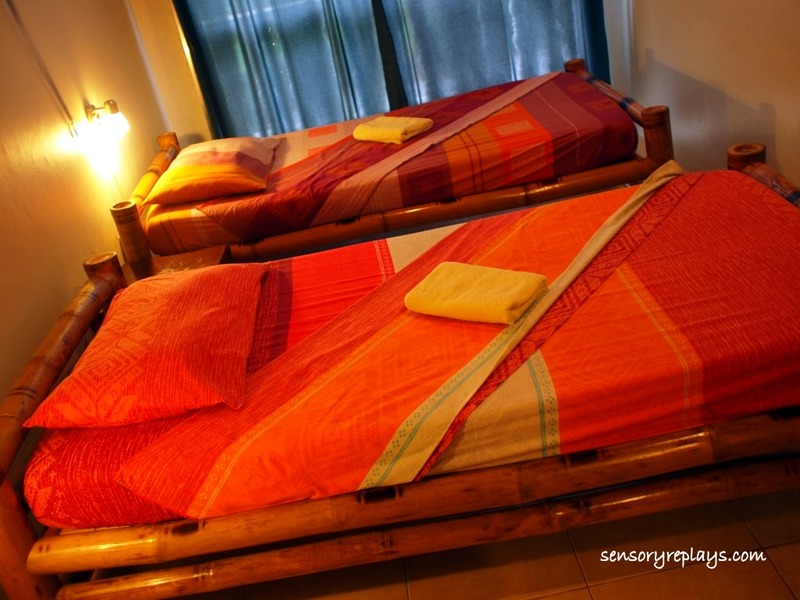 this accommodation in panglao island offers rooms and cottages and is very near alona beach. we were given a room in their new building. 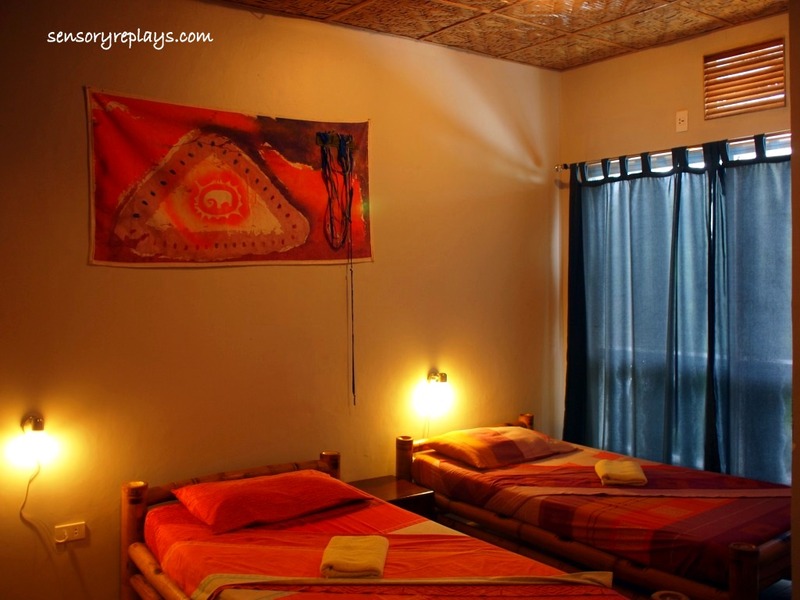 the room is average and working wi-fi is available and complimentary. the beds made of bamboo were comfortable and the sheets clean. 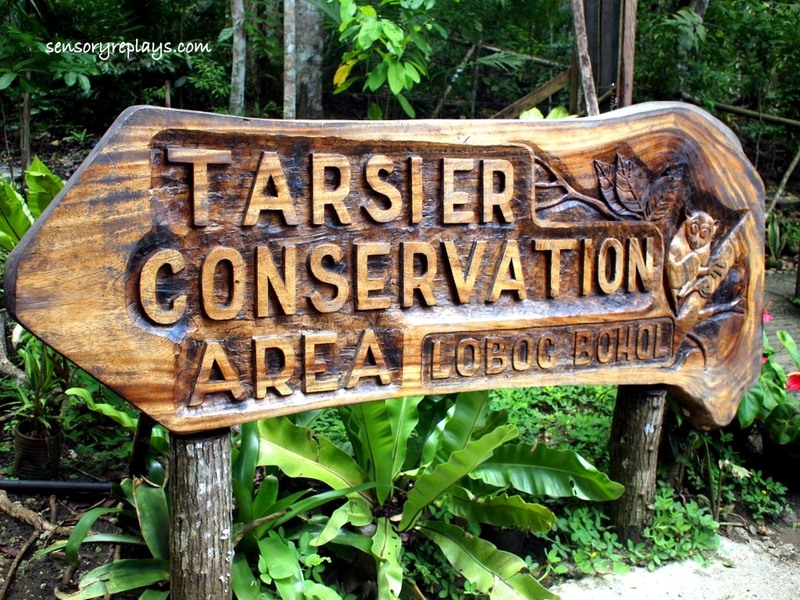 one of a must-do in bohol of course is to visit a tarsier conservatory. 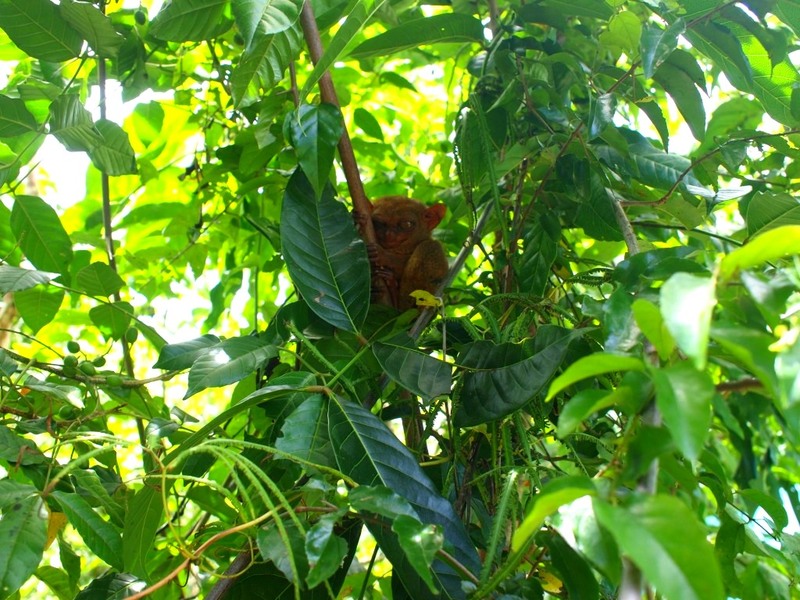 in my list, one of the ten things i have not done before was to photograph a tarsier. 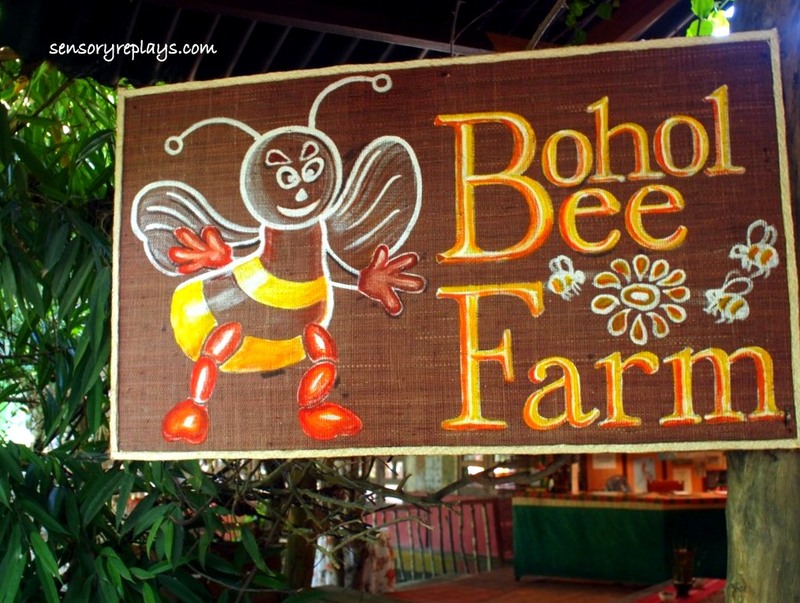 i have read online many reviews about the food at bohol bee farm. i made sure that i had to try some. 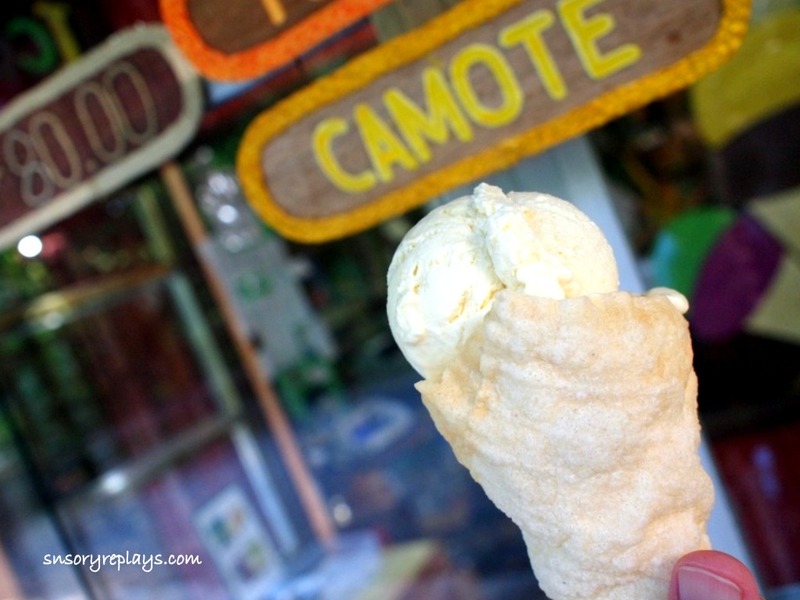 they have these homemade ice cream with unique flavors such as camote, malunggay, ginger, tomato and pandan. i tried sweet potato (camote) and found it good-tasting. 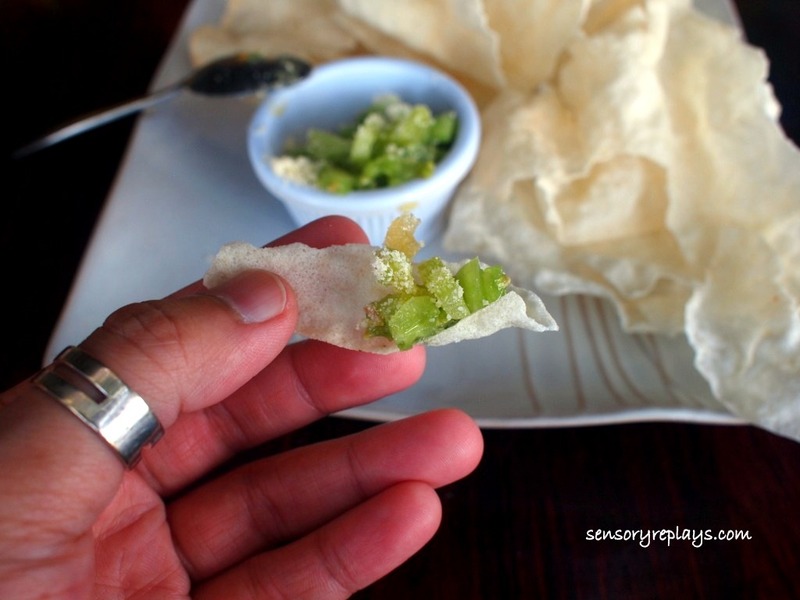 they also serve it into a cone made of cab-cab (from grated cassava root). 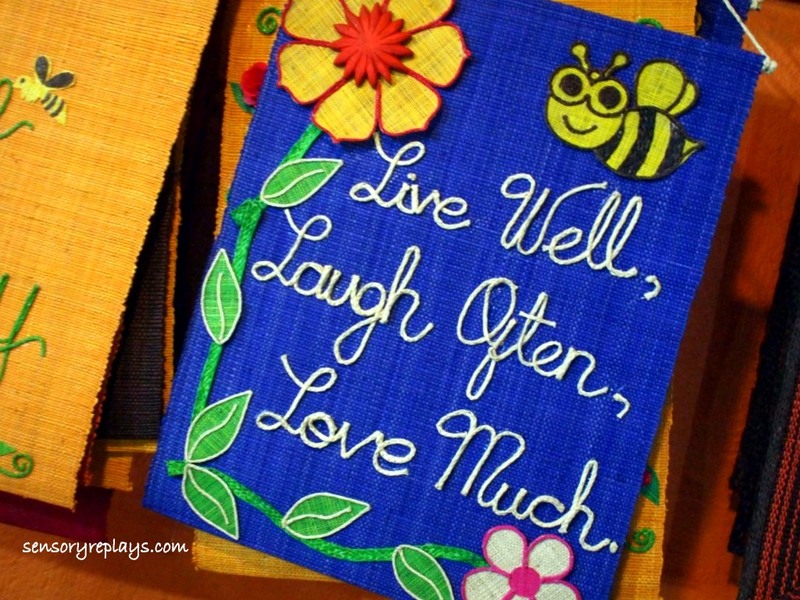 locally handmade items like these are available in their souvenir shop where i bought some for my ma. This entry was posted in been there and tagged 10 things i have not done before, bohol, bohol accommodations, bohol bee farm, bohol restaurants, buko pasta, cab-cab, camote ice cream, honey mustard sauce, l' elephant bleu, l' elephant bleu rooms and cottages, panglao island accommodations, seafood pizza, spicy flower salad, tarsier, tarsier conservatory. Bookmark the permalink. too lazy to google, how much did you pay for that room in bohol? looks okay with free wifi but does it have air conditioning unit or e-fan only? nagutom ako sa mga kinain nyo. 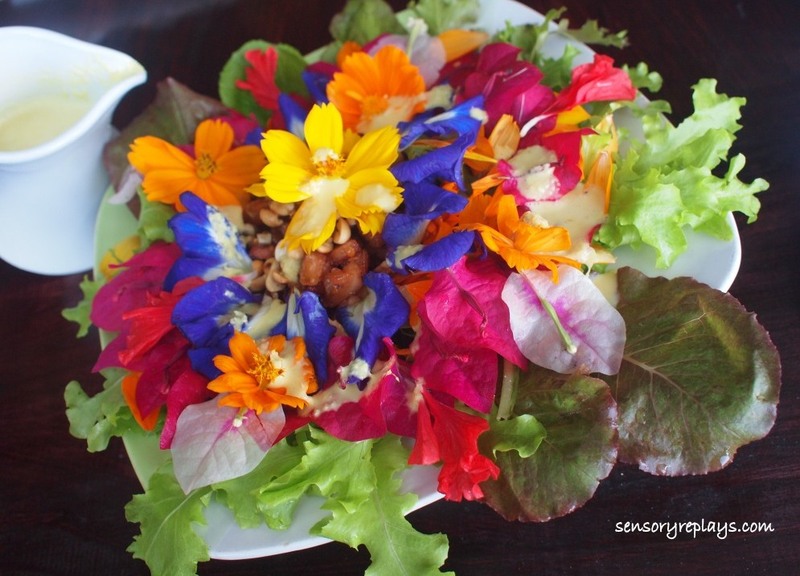 would like to try that flower salad whenever we get a chance to go to bohol (kailan kaya iyon?). .. ang galing! nahulaan mo na walang a/c, haha. 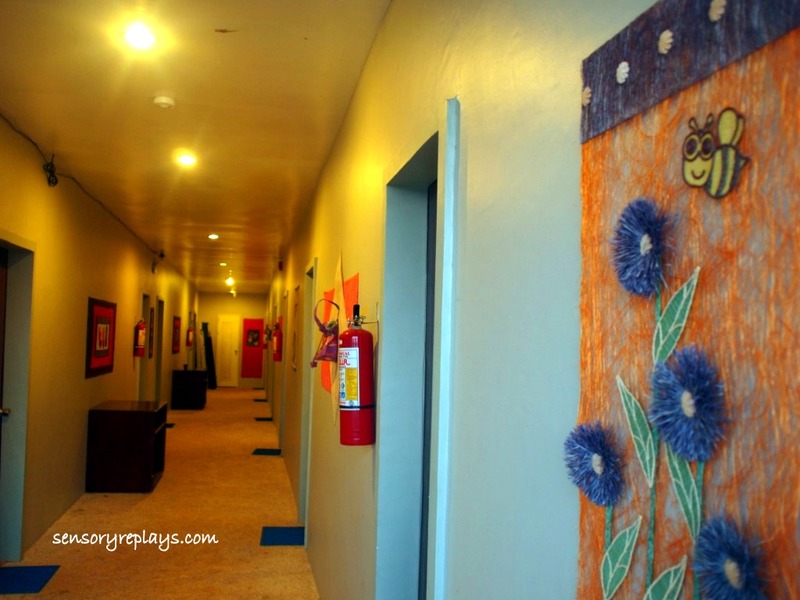 i initially booked a non-a/c room (P2500.00 for two nights) for it wasn’t available at agoda thinking na pagdating namin dun ipapalit ko na lang – ending fully occupied rooms! 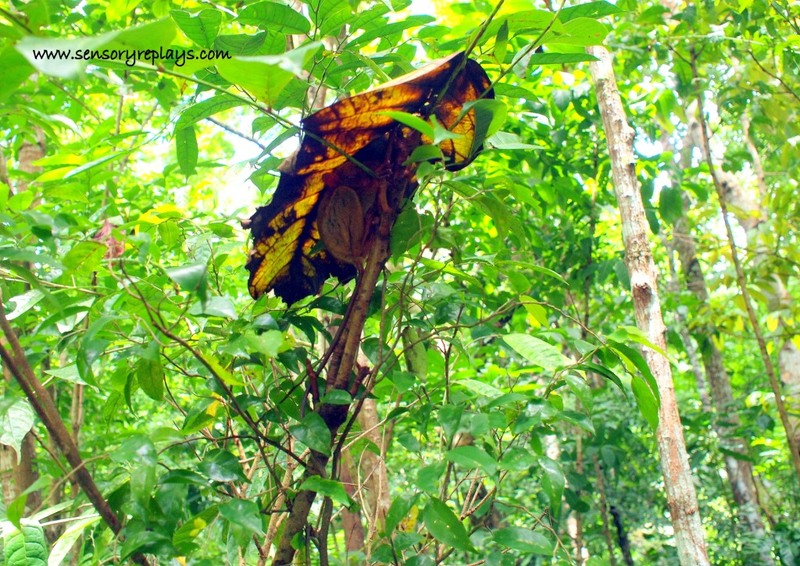 so ayun nagtiis sa e-fan but good thing it wasn’t that warm in bohol (maulan at paambon-ambon nga e). .. the flower salad becomes soggy after you mix it with the dressing, and the pasta was like, lutong-bahay lang! .. i did not scare the tarsier, haha. sabi ko sa iyo halos tulog sila at yun nga naiwan ang lente, so anlayo ng kuha. nocturnal ata ang mga tarsier, tama ba? so tulog nga iyan sa umaga kung aga kayo nagpunta. .. yes they are nocturnal pero may nakita ako na gising. sa tingin ko maistress nga sila kung lagi silang walang tulog! .. the room is actually cheap, mas mura kung walk-in pero tsamba kung may available. ako rin net-dependent na yata e, haha. .. gusto ko sana close-up e, hehe. onga grace i read about that they bang their heads (they have thin skulls) on objects to kill themselves.. horrible! were you able to identify the kind of flowers in the salad? edible ba lahat? .. there is cosmos, ternate and bougainvillea! yes, they are edible! .. sabi their eyes are fixed in their skulls, so yung orbit di nagrorotate like a usual mammal does. .. mas okay pa rin ang green leafy veggies as salad rather than flowers, hehe. 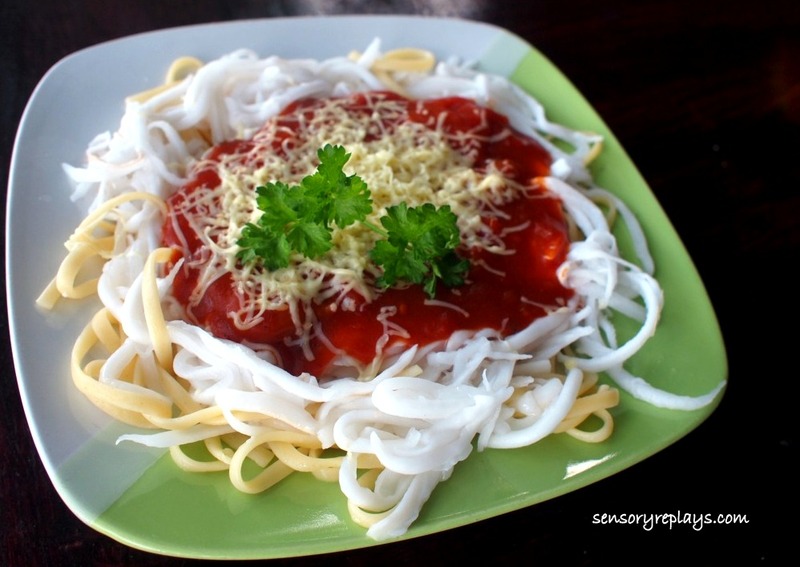 the pasta is like pinoy spaghetti and its just weird eating buko with it. nagcrave ako sa buco pasta! di ko pa natry yan and the pizza too. now i have reasons to go back to bohol. nag Circles kami kagabi. ay nako, mas feel ko ang HEAT. .. madai pa rin pwede puntahan sa bohol! thanks for recommending rj, though hindi siya personally ang nag-tour sa amin ayos pa rin yung mga drivers na pinadala nya. lahat ng nakitang kong fud photos from the bee farm mukhang masarap. how was the pricing there? 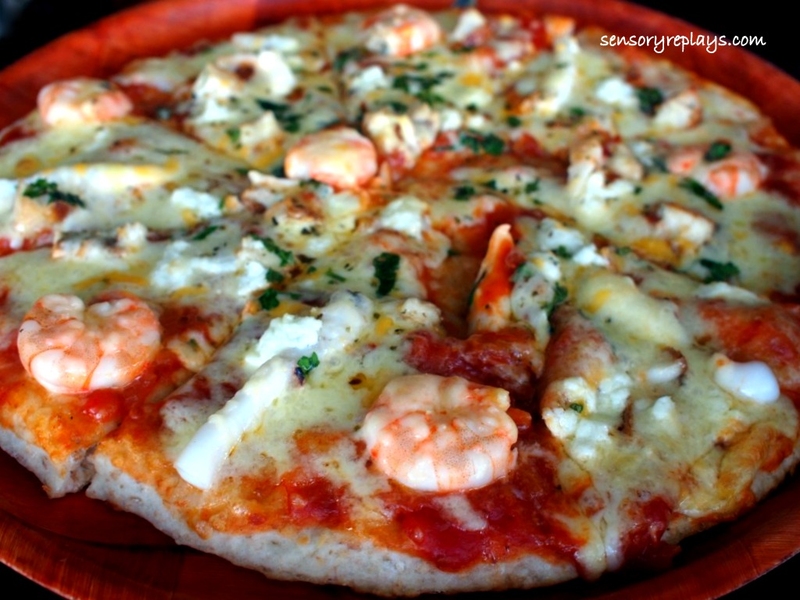 .. ayos naman pricing, the pizza was P300.00 and servings are good for 2-3 (yung hindi lang malakas kumain like us ha!). .. ang weird ata lito pag magkahalo yun ano, haha. alam mo ayaw pumasok ng comments ko sa site mo. there were those trips i intentionally left the SLR in the hotel, attack by laziness. thanks to smaller high performing cameras. we tried the malunggay and ginger ice cream. parehong masarap. .. mine was out of forgetfulness, hehe. my friend tried the malunggay, natuwa ako sa mga flavors nila.